Winter in Alberta creates an internal struggle between our desire to hibernate and our desire to embrace the Alberta elements. 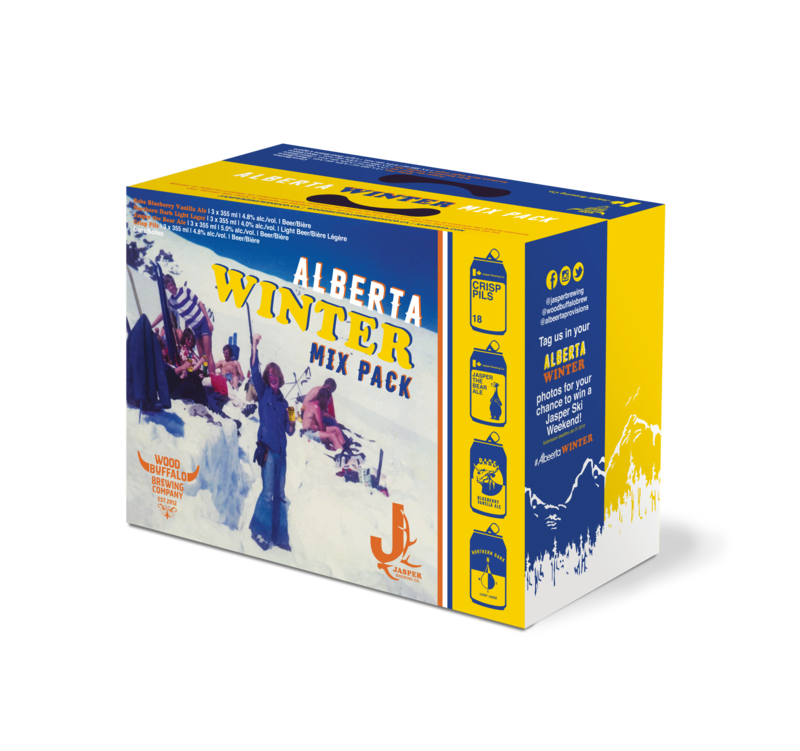 Our Winter Mix Pack is equally as perfect for your après ski as it is for your night on the couch beside the fire. Crisp Pils: Jasper Brewing Co. X 3 355 ml cans. Jasper the Bear Ale: Jasper Brewing Co. X 3 355 ml cans. Babe Blueberry Vanilla Ale: Wood Buffalo Brewing Co. X 3 355 ml cans. Northern Dark Light Lager: Wood Buffalo Brewing Co. X 3 355 ml cans.